An emerging body of research begins to shed light on various aspects of college promise programs (including free tuition programs), but too little is known about the full range of program outcomes, or the ideal structure and design of programs serving different groups of students in different sectors of higher education in different communities, regions, and states. What are the characteristics of students who participate in promise programs? How do characteristics of participating students vary based on program characteristics? What are the outcomes of promise programs for participating students? 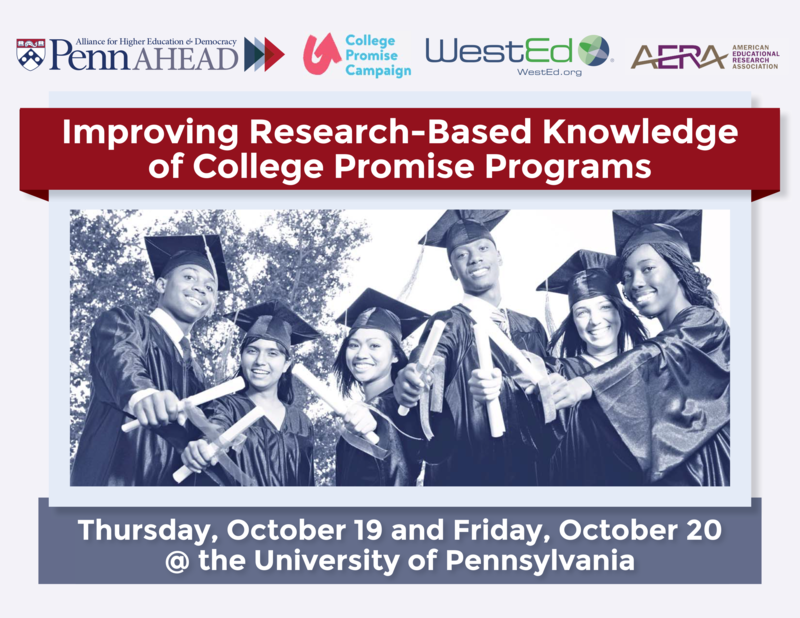 What are the outcomes of promise programs for other stakeholders, including K-12 schools, colleges and universities, and communities? How do program outcomes for students and other stakeholders vary based on program characteristics? This research conference is supported by a grant from the Education Research Conferences Program of the American Educational Research Association (AERA).